The Nissan Vehicle Purchase Program is a way to get insider pricing on a new Nissan vehicle, but you need to be a part of a select group in order to do so. Learn more about the Nissan Vehicle Purchase Program in more detail below or head to Bill Kay Nissan to find out more about how you can drive home to Naperville in new vehicle with Nissan VPP pricing. In order to get special Nissan VPP pricing, you need to be a part of one of the plans. There are four different options for you to choose from, so see if you’re eligible to receive this special offer and bring a new Nissan model home to Woodridge today. If you are an NNA or Nissan Affiliate Company employee, you do not need proof of eligibility. Instead, you just need to enter a valid NNA employee ID into the VPP website, and your special offers will instantly appear. If you are an affiliate company employee, you will need a copy of the NNA Affiliate employee’s recent pay stub, a company issued badge, or a dated letter from the company’s HR department. All of this will need to be verified in order for you to gain access to VPP plans and pricing. If you are an NNA friend or family member, you also do not need proof of eligibility. Instead, your friend’s employee ID will be used to generate a code that you will use to receive your special pricing. Should you work at a dealership, you may be eligible for the VPP plan. A copy of the dealership employee’s recent pay stub or a letter from the HR department will suffice as proof of employment. Dealership employees are only allowed to use this special financing on themselves or direct family members. Business Associate Company employees also have access to the VPP plans. A company badge, a dated letter from HR, or a copy of a recent pay stub will be needed to prove your employment verification. 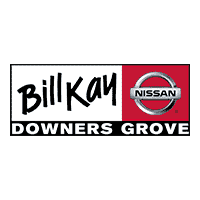 Ready to buy a Nissan model near Countryside, visit Bill Kay Nissan. We can provide you with a nice selection of vehicles to choose from with plenty of vehicle specials. Or if you’re looking for something specific, such as learning to program the Nissan Intelligent Key, we can help with that, too. Contact us today.